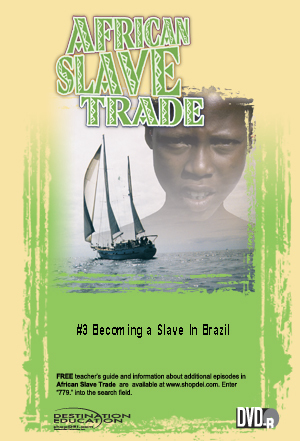 Africans were first brought to Brazil early in the sixteenth century. The rich South American soil and tropical environment supported the cultivation of sugar, a valuable product throughout the world, and a huge workforce was needed to meet the growing demands. In Brazil perhaps more than any other part of the Americas, the African cultures have influenced the population. Rights granted with purchase include: a) life of media audiovisual use, b) public performance, c) campus or building closed circuit and digital/video-on-demand transmission. The episodes may also be cablecast on community access channel controlled by school at no additional charge. Broadcast rights are also available - contact slenzen@shopdei.com for information.